In the article analysis is given of the results of the reforms made in economical, social, political and spiritual areas of Russian society. The statement is proved that modernization is necessary not only in terms of overcoming the systemic crisis and enhancing the country competitive ability under the globalization conditions, but it also can be considered as a method to protect national identity. Some factors and forces that hamper the whole process, and the society groups concerned with it, are mentioned. 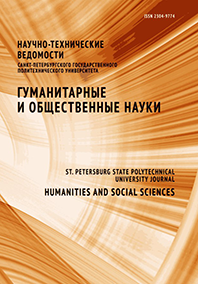 It is underlined that the role of fundamental liberalism is negative because the latter considers Russian people to be incapable of creativity and because it tries to break down Russian traditional value hierarchy as a background for the distinctive cultural development of Russia. The conclusion is made that the most successful and productive project can only be based on the maxims of patriotism and humanism.